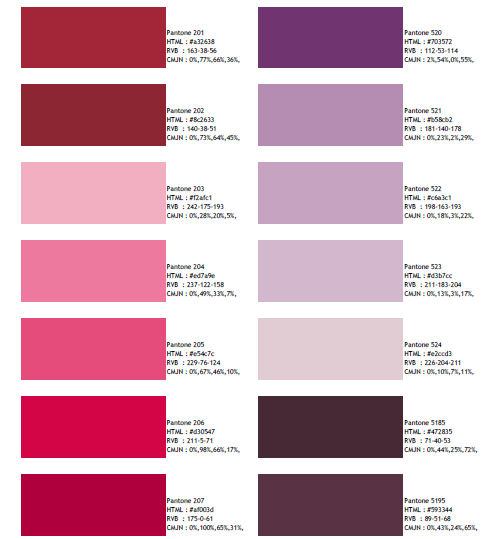 The Pantone color chart is an universal color chart used in graphic design field and printing industry metal , stone , plastics ... it contain more than 992 color coded. this codification allow to match the exact color between two people whatever the way , tool or machine used to produce the color. * This PANTONE is offered for information, The colors and their shades may vary slightly depending on the configuration of the computer screen. 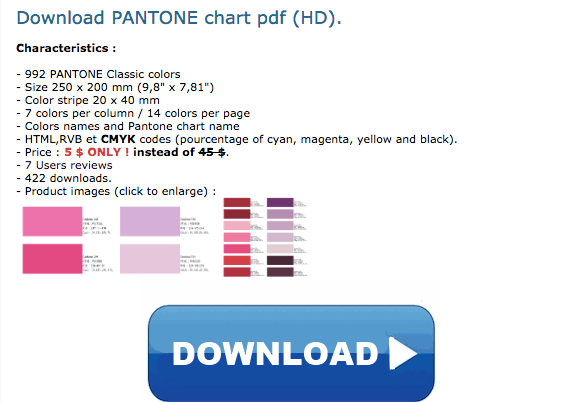 Download PANTONE chart pdf (HD). - HTML,RVB et CMYK codes (pourcentage of cyan, magenta, yellow and black). - Price : 5 $ ONLY ! instead of 45 $.